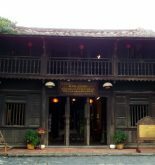 Hoi An is not only a town with life long history and antique buildings. 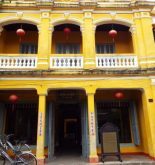 Hoi An possesses two beaches – Cua Dai and An Bang. An Bang beach is probably the most beautiful beach of Hoi An, since it is among the list of the Top 100 Best Beaches in the World by CNN although Cua Dai is the most popular one. It cannot match with the celebrated beaches of Da Nang or Nha Trang but still a beach with the great scene from the water to the sand Consequently, An Bang is a less crowded beach which is why tourist prefer An Bang over Cua Dai beach. 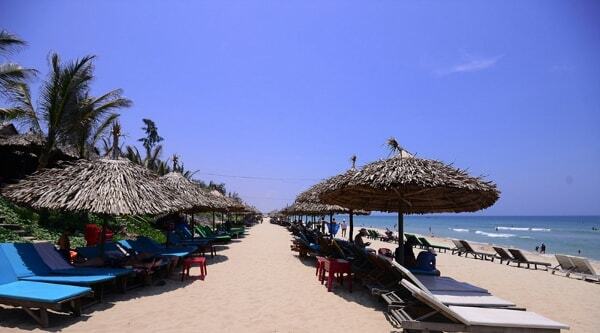 An Bang is a really long beach with 4 kilometers of length that is just about 5km away from the Old Town of Hoi An. Thus, the beach’s now a home for many restaurants, bars and homestays settle alongside the shore. And since it is a long beach, you could easily find a spot where it’s most peaceful, all it takes is just a little exploration. The water here is clear, sometimes blue, sometimes jade and safe. But that’s not the best thing about this beach. After being a CNN’s Top 100 World’s Best Beaches, An Bang still keeps itself from being a touristy beach like Nha Trang or Phan Thiet with numerous of resorts and services. Instead of resorts, homestay is the dominant type of accommodation in An Bang which is a great thing to keep the beach distinct from other famous beaches in Vietnam. 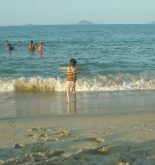 And when it comes to accommodation in An Bang beach, An Bang Beach Hideaway Homestay has to be the first one to mention. This place makes you feel like home as the properties are pretty much like a small house, friendly and close to nature with many of the furniture are made from bamboo and wood. There are actually a lot more of this homestay accommodation around An Bang for you to choose. In general, An Bang is a great beach to chill out, hideaway in modest, traditional accommodations without surrounded by high-end, luxurious resorts with hundreds of services.